As I continue to travel and explore, I want to be able to share my experiences with you. Before I begin with where I am going I want to share with you where I have been. My first trip outside of the U.S and the first stamp that I got in my passport was from the Dominican Republic. 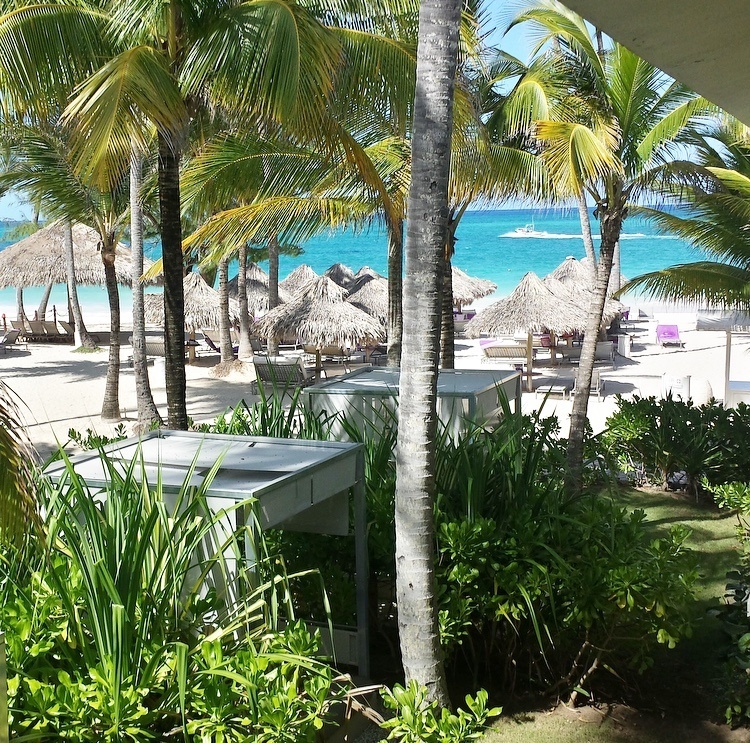 Dorian and I planned a vacation to the Dominican Republic at an all inclusive resort in Punta Cana called the Paradisus. The resort was a huge campus that had an area for families called “The Reserve” and an area for adults called the “Royal Service.” Dorian and I had booked the Royal Service for ourselves. 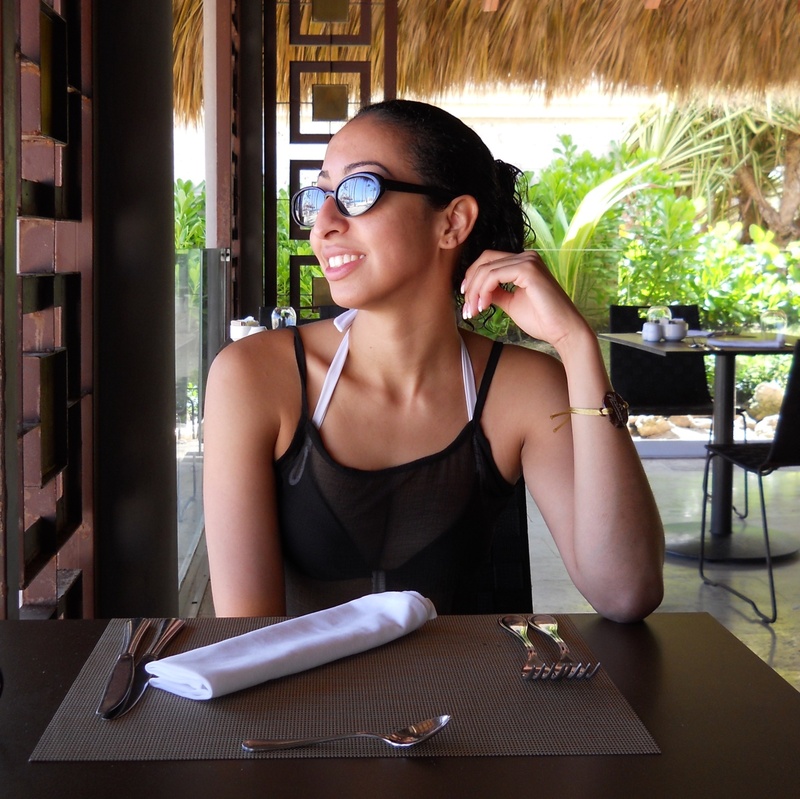 The Royal Service came with a butler, additional credits that we could put towards the resort and we had access to secluded areas and beaches within the resort. Once we arrived we were greeted in the main lobby where we were given champagne and a dessert. We went through a short orientation with one of their associates. Then we were free to roam and enjoy the resort. The resort had a lot of amenities. It had a business center, theatre, gym, spa, adventure park, water sports center, casino, and nine restaurants. All throughout the resort they had golf carts that would take you to and from areas within the resort. All you had to do was wait outside for a few minutes and a golf cart would be by shortly to pick you up. Our suite was on the second floor right on the beach. 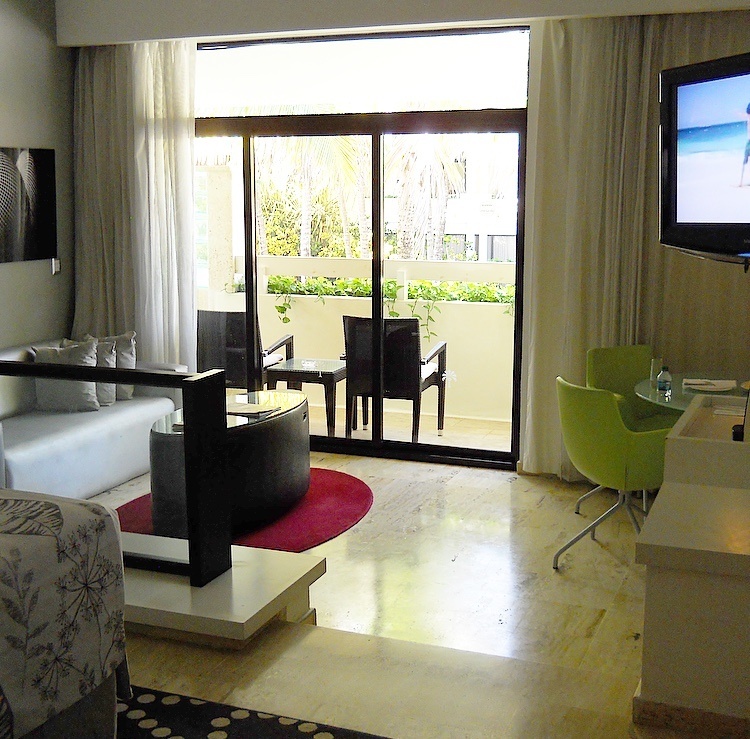 We had a huge bedroom that included a king sized bed, a nook for eating and a modern living room. We had a balcony that over looked the beach that also had a Jacuzzi. The bathroom was absolutely beautiful. It had a big closet and all the fixtures were updated and modern. The shower was a big couples shower that had two shower heads at either end. We had our own personal butler whose name was Juan, he was at our beck and call. I mean literally he was at our beck and CALL. They provided us with a cell phone so we could reach him at all times if we needed anything. Every day he would leave us a delicacy from the Dominican in our room waiting for us with a note. One night without me knowing Dorian requested for the Jacuzzi be set up. When we arrived back to our room that evening Dorian asked me what was on the floor. As I was taking off my heels, I turned around and saw something red on the floor. I told him I didn’t know and then switched on the light. It ended up being a trail of roses that lead to our bed. 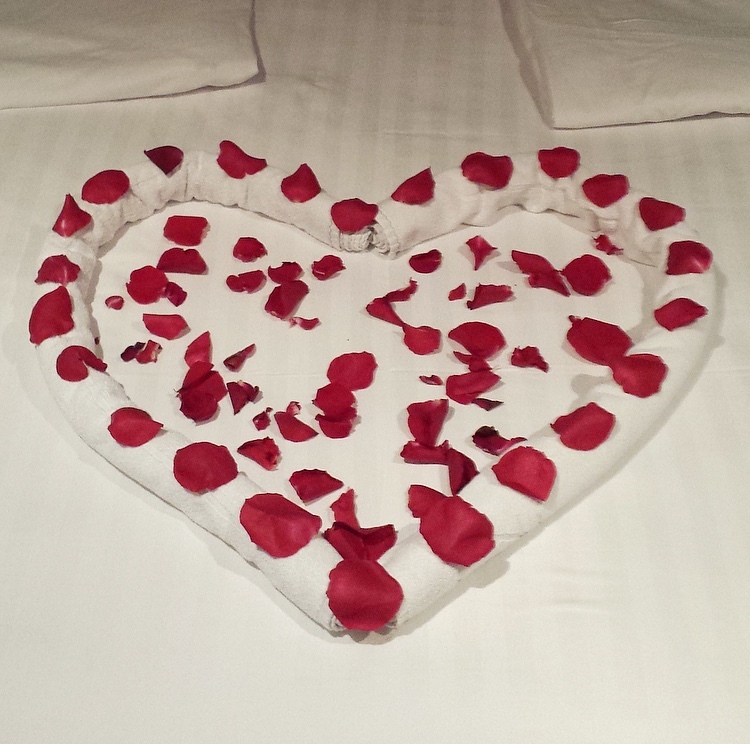 There were two towels folded in the shape of a heart with rose pedals in the center. The trail then led from our bed out to our balcony. The Jacuzzi was decorated in rose pedals everywhere and had lit candles along the stairs leading into the Jacuzzi. It was the perfect setting. Every day they had a list of activities available for you throughout the day starting at 9am until 5pm. The activities included work out classes, dance lessons, wine tastings and pool parties. Dorian and I took advantage of salsa and bachata classes, finger painting, candle making, and some of the pool parties. Dorian and I each made a finger painting of the beach. In the candle making class, we use a piece of sugar cane as the holder and we put coffee beans on the inside. On the outside we painted Dominican Republic 2013 to remember the trip. The resort also had an adventure park where Dorian and I learned archery. Dorian got the bulls eye right on the first try. Where as I was trying not to smack my arm with the string from the bow. Along the beach they had all sorts of water sports you could do, Dorian and I went kayaking. This was a work out in it of itself but totally worth it. Out in the ocean looking back at the beach was definitely a sight to see. All in all the activities were a lot of fun and we got some really good photos. Every night they held a show and right after had live music and a party either on the beach, at the pool, or in the club. The shows consisted of Le Cirque, Dominican Paradise, Retro, Urbano, Paris Las Vegas, Fire Desire, and a Pop Tribute. There was a group of individuals that were in charge of the entertainment. You would see them throughout the day as they held activities. You would see them perform at the shows every night after dinner. This was a close nit group that was full of fun and excitement that was contagious. You could tell that they really enjoyed what they did and that they loved interacting with the guests. They made the trip that much more enjoyable. 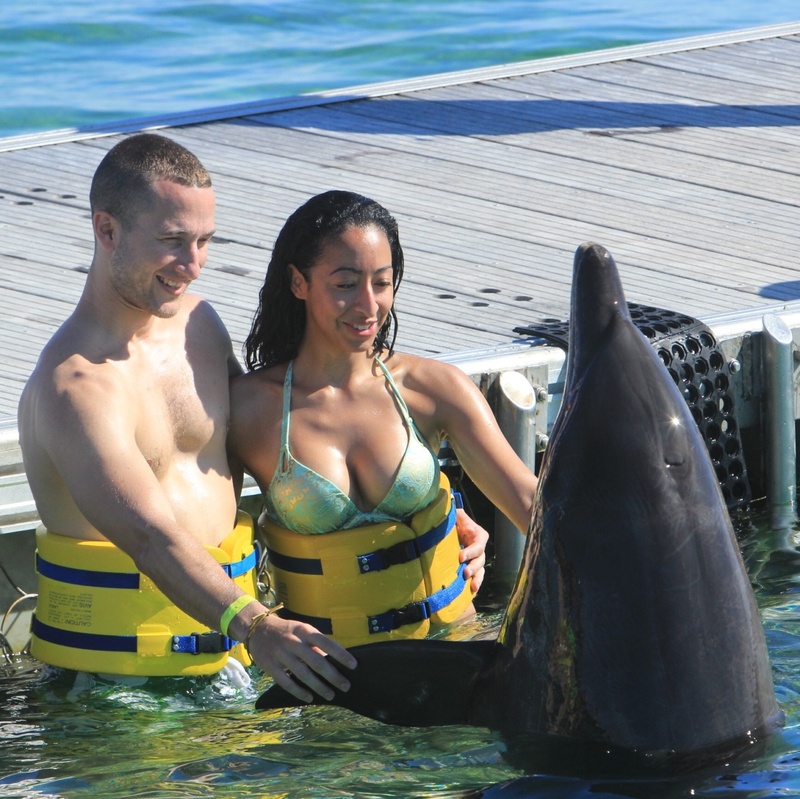 They had a plethora of excursions that you could choose from, Dorian and I choose to go swimming with Dolphins. A group of us met early one morning and a bus took us to the Dolphin Beach. After we swam with the dolphins we had the opportunity to snorkel with the nurse sharks. It was such an amazing experience. You can read more about it here. 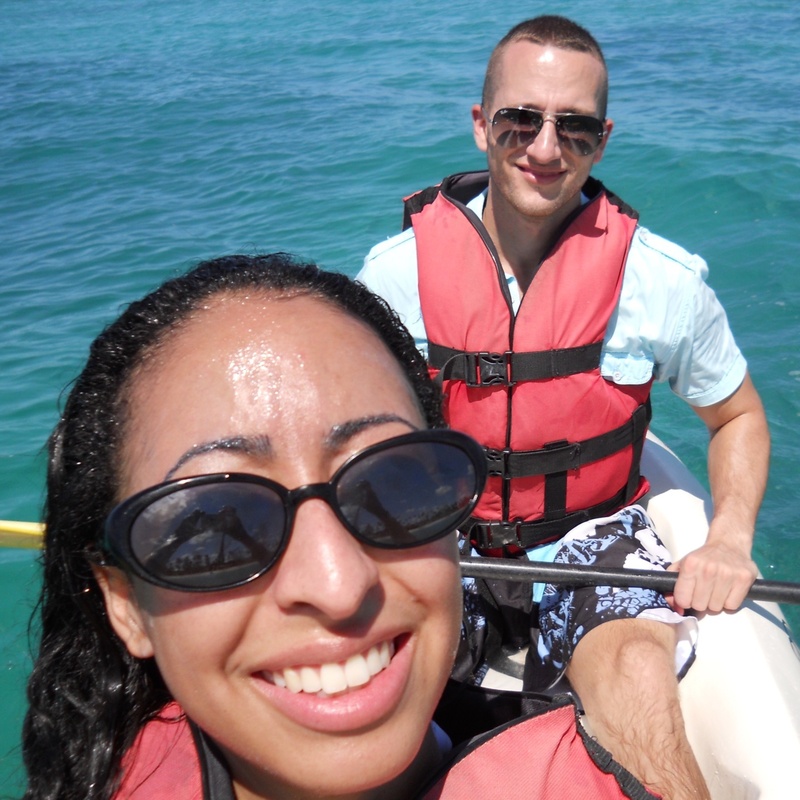 I had an amazing time in the Dominican Republic. It was a great experience for my first trip outside of the U.S. If you ever get the opportunity to travel to the Dominican Republic, go to Punta Cana. I highly recommend the Paradisus Resort. Be sure to book the Royal Service. I hope you enjoyed reading this blog post. If you have any questions please comment down below.